Mulberry Chronicles: Jam or Pains: Release details! 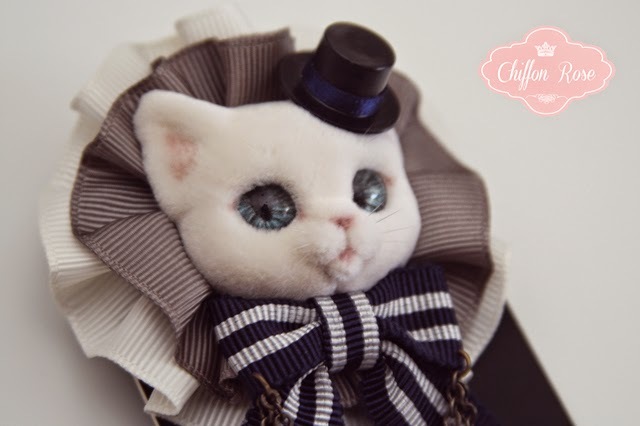 Chiffon Rose's Jam or Pains Animal Face Brooch collection will be released on Thursday 18th December 2014 at 9am AEDT. 8 varieties of friendly and mysterious creatures will be available in very limited quantities. 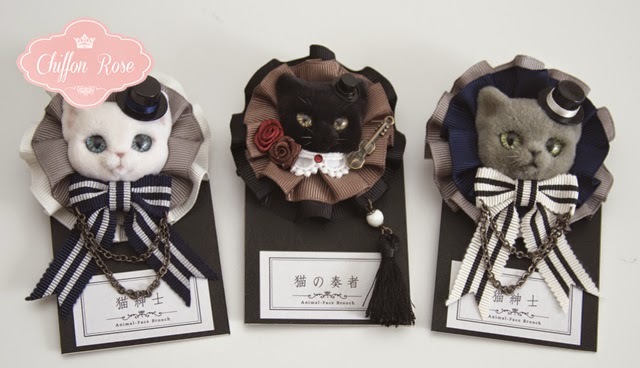 Please remember that the animal faces are hand crafted by the designer in Japan which will be reflected in the price. The brooch itself is also constructed from high quality materials. I treasure the little bunny I bought for myself at the market in Tokyo. He matches all my navy, ivory and jewel toned outfits and is the cutest companion for daily adventures. I have selected a range of his friends that will match most sweet, classic and gothic outfits in popular colourways. I hope everyone can capture the little character they love the most! I look forward to hearing from you tomorrow morning! My body is ready ! It is such an adorable accessory ! So happy you like them Anya :) They will be up tomorrow morning!